In 1967, Dr. Norman Osgood purchased a property in Oak Creek, Wisconsin: a residence, two buildings capable of housing 20 dogs each, and adjacent land. 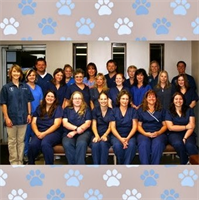 Dr. Osgood began practicing veterinary medicine after converting his garage into a two-room clinic. In 1971, Dr. Osgood broke ground and constructed a new clinic on the adjacent lot on Ryan Road. He then hired as associate veterinarian and receptionist. That same year Brentwood Animal Hospital was incorporated. Today, Brentwood Animal Hospital operates out of that same building but has built a new boarding facility within the clinic itself. Newly remodeled, Brentwood now employs 5 veterinarians, two of whom are Dr. Osgood's twin sons, Doctors Brad and Brett Osgood. Our strength is based on vast experience, devotion to the profession and commitment to service excellence. I cannot say enough great things about the care and love that Brentwood has provided for my animals now and over the past 10 years! My visit was great at Brentwood Animal Hospital. All services were done professionally, thank you!